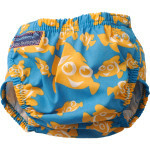 For the health and hygiene of everyone in the pool, please ensure that your baby has a suitable swim nappy. 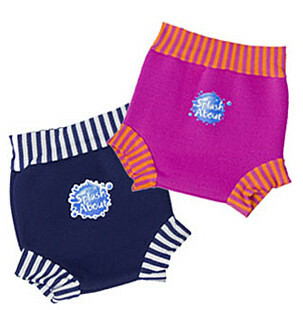 All our Swim Academy babies and toddlers MUST have a double nappy system incorporating a ‘Splashabout’ Happy Nappy or ‘Konfidence’ NeoNappy (new style only)over the top of your chosen standard swim nappy, preferably a washable one. This system has been tried and tested by all our Tutors on their own children and by our customers – and it really does work! Both types of nappy are available to buy from Swim Academy for Babies when you book your place, or you can order direct from ‘Konfidence’ and receive a 10% discount by clicking on the link below. Please note that colours may vary.